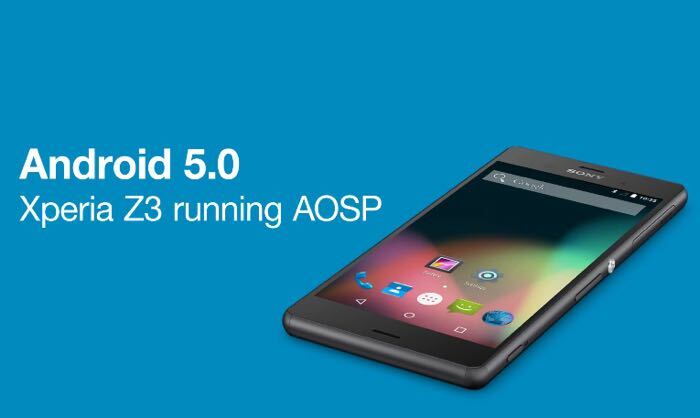 Google recently released the source code for Android Lollipop, and now Sony have put together a video showing Android 5.0 AOSP running on their Xperia Z3 smartphone. According to Sony they also have Android 5.0 running on the Sony Xperia Z2 and the Sony Xperia Z1, have a look at the video below of Android Lollipop in action. For all you developers who are eager to run Android 5.0 on your unlocked Xperia device, we are working to provide you with the necessary binary files as soon as we can. Once you have them, these binaries can be used as a base for compiling your own custom version of Android, together with source code for AOSP device configuration from the Sonyxperiadev GitHub. Device configurations are already available for Xperia Z1 and Xperia Z2, these will be updated, and are coming soon for Xperia Z3. Sony has already confirmed it will be releasing Android Lollipop for all of the company’s Xperia Z devices, which includes Xperia Z smartphone and tablets. As yet we do not have any details on when the first Android 5.0 updates will be released for Sony’s devices, as soon as we get some more information, we will let you guys know.